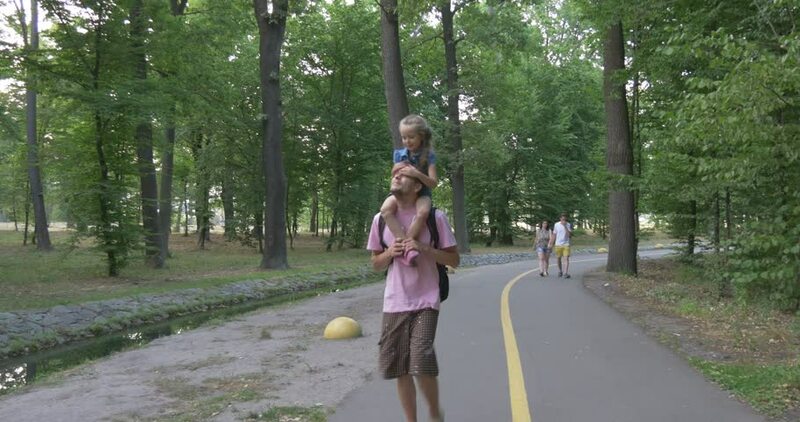 BUCHA/UKRAINE - JUL 19 2015: Father carries his little daughter on his shoulders in park, she closes his eyes with her hands, other people walk nearby, mid-shot, day, Ukraine. 4k00:13Two schoolchildren ride a scooter in the park. A boy and a girl are spending time outdoors.